Terrell Strayhorn, professor of higher education at The Ohio State University, will speak during the upcoming “Demystifying Diversity in Higher Education” event at IU Southeast. Strayhorn’s lecture will occur on Friday, Jan. 30, 2015, from 1:30 to 3:30 p.m. in the Richard K. Stem Concert Hall in the Paul W. Ogle Cultural and Community Center at IU Southeast. Strayhorn has spoken at hundreds of college campuses. In his lectures, Strayhorn incorporates data, music, statistics and stories to captivate audiences while educating them about the importance of diversity and other topics. 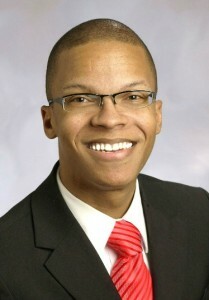 At Ohio State, Strayhorn is the director of the Center for Higher Education Enterprise and a senior research associate in the Kirwan Institute for the Study of Race and Ethnicity. He is also a faculty affiliate in the Criminal Justice Research Center and the Todd A. Bell National Resource Center on the African American Male. Strayhorn has been named one of the top diversity scholars in the U.S. He has been a columnist and commentator for various media outlets, including Diverse Issues, New York Times and NPR. For more information about the “Demystifying Diversity in Higher Education” event, contact Channel Barbour at 812-941-2316 or at cbarbour@ius.edu.